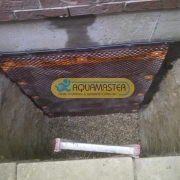 Aquamaster Drain Plumbing & Waterproofing Inc. does more than just fix your wet basement problem. Our proven process makes sure that your basement does not leak ever again. We do not make guesses about your leaks; our system is based on expertise and quality craftsmanship. We have more than 20 years of industry experience and more than 3,000 satisfied customers. We treat all of our customers as individuals and all of our work is fully guaranteed. 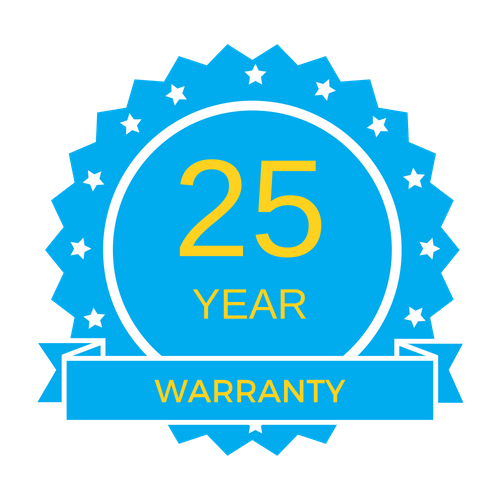 Learn more about our LIFETIME, TRANSFERABLE WARRANTY, provided with all of our waterproofing solutions and learn about our waterproofing processes. Check out the video below to see our proven process for waterproofing the exterior walls of your foundation. 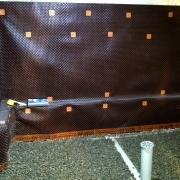 This exterior basement waterproofing system is one of the methods we can use to permanently solve your leaking basement. 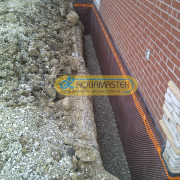 Aquamaster has been providing professional waterproofing to Toronto homes for many years. An external waterproofing solution is the best choice to provide the highest level of protection against flooding and water damage. Our experts understand the processes fully and we offer complete transparency in all the work we perform. We will explain every step of the process to you so that you will know what to expect from our work. Poor foundation drainage, high levels of groundwater, major storms and foundation cracks can all contribute to a wet basement and water damage. 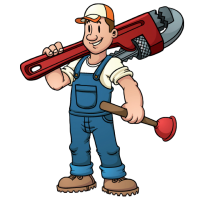 We will consult with you and inspect your home, drainage systems and property. We look for any problem areas and will discuss the recommended solutions to provide you with permanent protection from leaks and moisture. Every home is different and Aquamaster provides customized solutions for every job we complete. The work may involve repairing cracks with epoxy or replacing the waterproofing membrane along your foundations. In the majority of cases, external waterproofing involves digging down to the footers of your foundation to locate all the problem areas and ensure that your basement is fully protected. On some occasions, we may not have to completely dig out the foundation. You may simply need to have your weeping tiles replaced or a French drain installed. If you existing drains are clogged, the ground water will back up and place additional pressure on the foundation walls, forcing water into any cracks. A complete inspection of your home’s drainage system and foundation is the only way to truly know what work needs to be done. 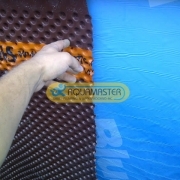 The experts at Aquamaster will provide you will a customized plan to repair your basement that includes a full guarantee. We understand waterproofing in Toronto and the Greater Toronto area and our staff are experienced professionals. 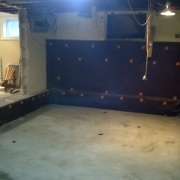 Internal basement waterproofing is another method of stopping water damage and flooding in your basement. While external repairs provide the best solution, an internal project can be performed when foundation digging is not optimal. Before we perform any work, we provide you with the same inspection service. This is important to ensure that we cover every problem that is leading to a wet basement issue. After we have identified all of the trouble areas, we will provide you with the best internal waterproofing solution for your unique needs. Our internal waterproofing solutions may included repairing all cracks or breaks in your foundation walls, adding a waterproof membrane to the interior and replacing any defective weeping tiles. A French drain installation can also be part of your solution. 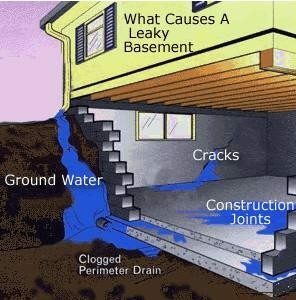 No matter how well your home was built, basement can develop leaks. Homes are constructed to meet industry and safety standards. However, over time, homes settle and the foundation walls and floor may crack. Other water problems may come from the water table under your home or changes in the city sewer system. A small leak now can turn into a major problem as time passes. Leaks also create mold, mildew and water damage. This can end up requiring very costly repairs to your home. 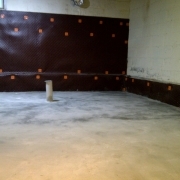 Professional basement waterproofing requires knowledge and skills, along with the right resources and tools. A fully effective treatment includes addressing drainage and adding sealers. Once your basement is professionally waterproofed, it will remain dry. We guarantee this. Call us, or email us today, so we can provide you with an inspection and a cost effective solution to your leaky basement problem. Our licensed experts are ready to fix any type of foundation problem you are experiencing.